Out of 39 quality-tested protein powders, we found three that have something for everyone. 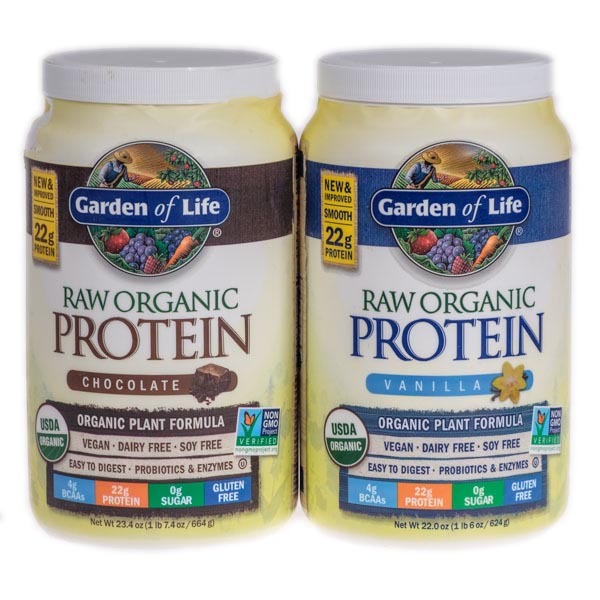 May 2, 2018 - The chocolate and vanilla flavors for our best vegan powder pick, Garden of Life - RAW Organic Protein, now contain organic erythritol, an artificial sweetener we cut in our methodology. Garden of Life’s unflavored protein powder doesn’t contain this ingredient and is a good alternative if you’re looking for a smooth-textured powder to mix into smoothies. 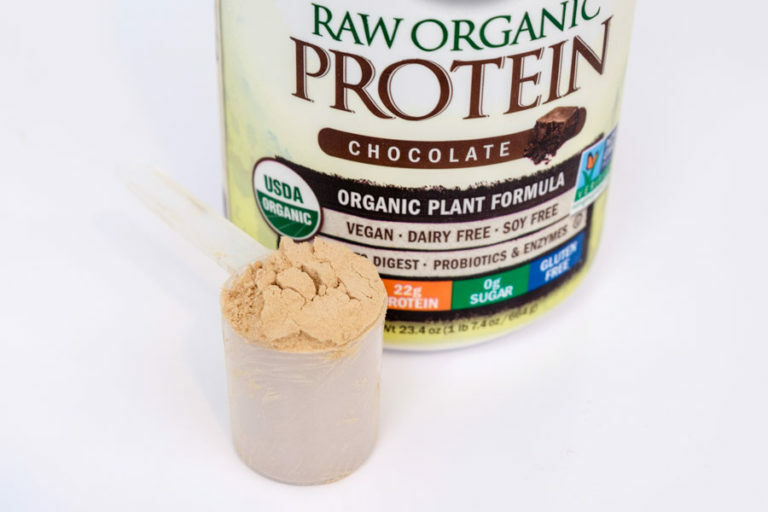 Upon testing, we noticed it had a strong papery taste when mixed with water, and that you need to add a few ingredients (we added cocoa powder, agave and peanut butter) to mask the flavor. We’ll re-evaluate all of our top picks in our next update. Whether your goal is to build muscle or just hit your daily nutrition goals, the best protein powder is easy to mix and enjoyable to drink, all without relying on any unhealthy filler. We surveyed over 4,000 dieticians, consulted renowned fitness and health experts, and tasted 12 certified-safe powders to find our top picks. Sports nutrition can be a tricky place for the average consumer to navigate. Since protein powders aren’t regulated by the FDA, manufacturers can get away with a lot of misleading information and marketing hype. We approached our search for the best protein powder like a doctor approaches a patient: “First, do no harm.” We sought out protein powders that are made from high-quality, safe, and third-party verified ingredients, without any artificial additives. And, of course, they had to taste great. 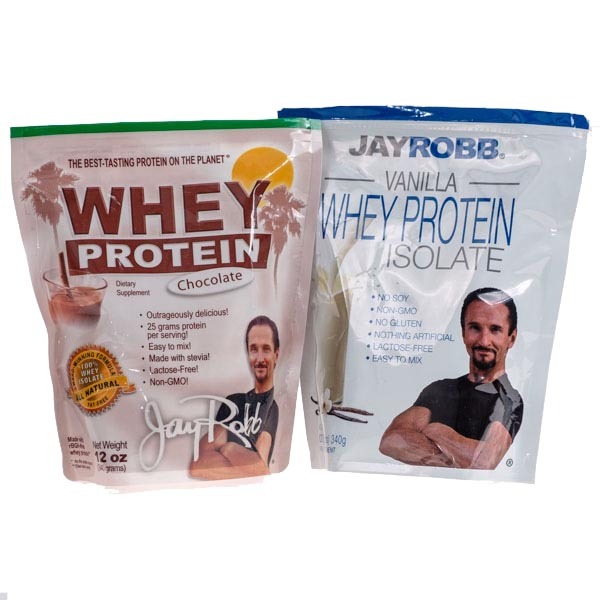 If your idea of the best protein powder is whichever one is the easiest to gulp down, check out Jay Robb's Whey Protein ($24 for 275 grams of protein). It was easily the top-performing powder in our tests, scoring the highest for both taste and texture. Jay Robb’s mixed beautifully, making it an ideal choice if you want something quick for the gym. The only downside is the price; at almost $0.09 per gram of protein, it was the second most expensive product we brought in. 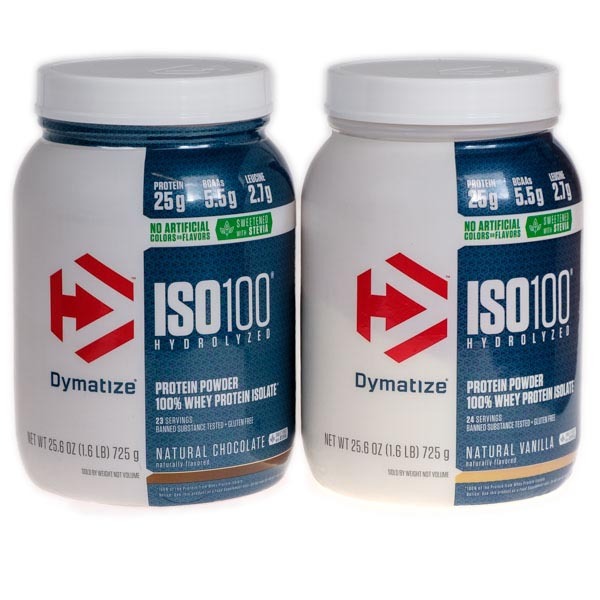 Dymatize ISO100 trades a slight downgrade in taste for a higher protein content per dollar than any other powder we brought in ($30 for 600 grams of protein). If you’re after the best deal, Dymatize will get you the most for your money. But that’s not to say it didn’t make a tasty drink: Testers loved the chocolate flavor, comparing it to chocolate milk on nearly every comment card. The vanilla was a little more polarizing, but that was the case across the board — with the exception of Jay Robb’s vanilla. If you’re looking for a completely vegan, organic, and GMO-free protein powder, check out Garden of Life - RAW Organic Protein ($38 for 440 grams of protein). While plant-based products tasted significantly worse than the whey proteins, our testers liked Garden of Life better than other options. We’ll be honest, it’s not the most pleasant thing to drink exclusively with water, as we did. However, blending it in with stronger ingredients like a milkshake should take the edge off. 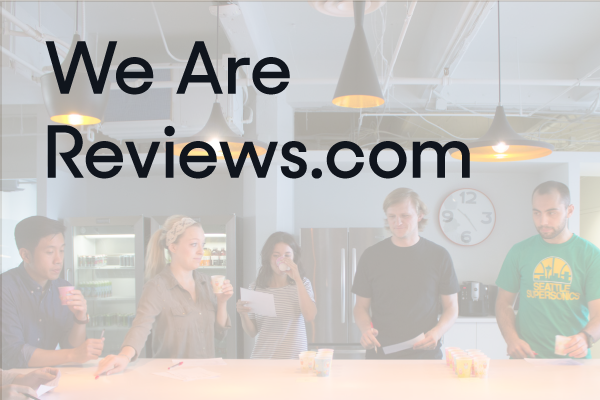 We started with 39 protein powders that received a rating of 70 or higher by Labdoor. 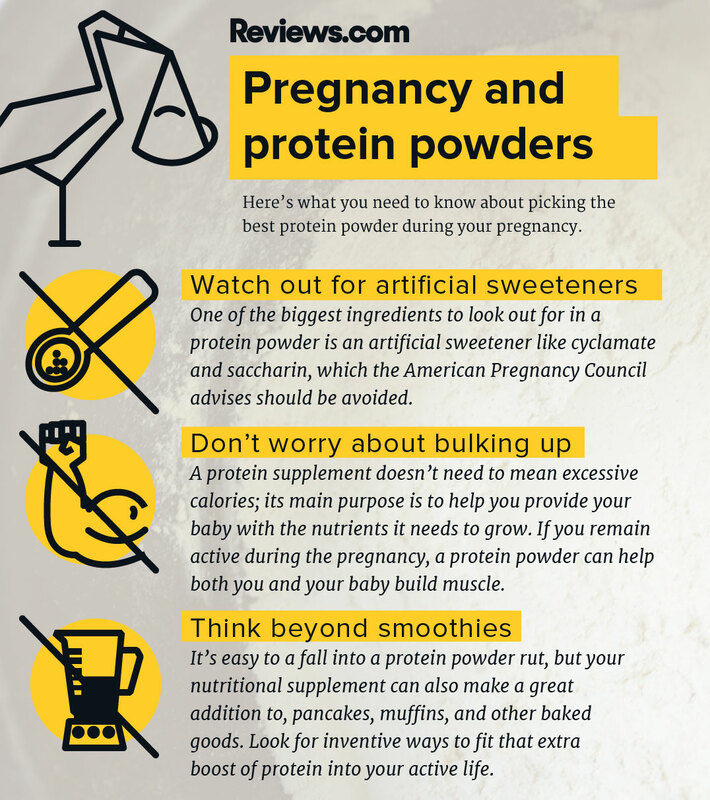 The best protein powder isn’t just palatable; it’s also safe for your body. To find high quality protein powders that are honest about their ingredients, we leaned heavily on research from Labdoor, an independent company that tests the accuracy of labeling in supplements and scores those ingredients on how harmful they are to consumers. 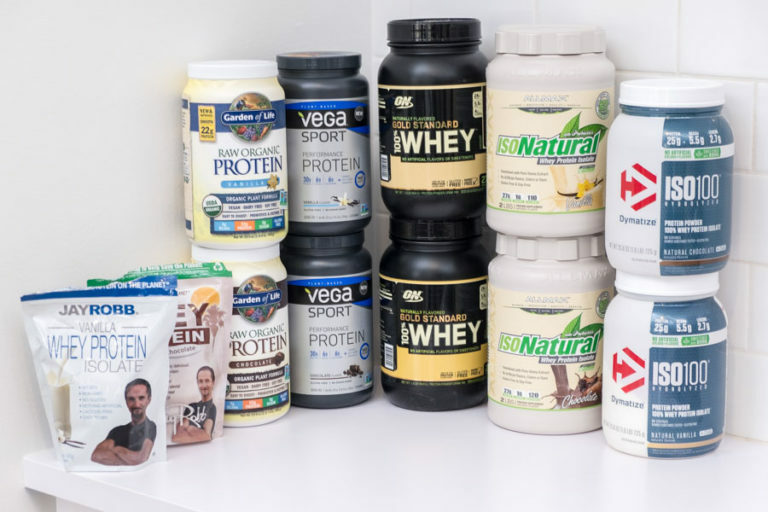 Nutritional supplements aren’t regulated by the FDA, so protein powder manufacturers themselves are responsible for ensuring that their products are safe, legal, and compliant with standard FDA regulations. Because of this, some companies cut corners; and if manufacturers don’t have any legal obligation to accurately report what’s in the product, consumers run the risk of serious health issues. In one especially disconcerting case, Labdoor tested the sodium content in 81 protein powders and found that they contained 70.4% higher sodium content on average than their Supplement Facts labels claimed. Protein powder manufacturers have plenty of incentive to fabricate information like this. More sodium intake can cause water retention and fake the look of quick muscle gains. Labdoor also found that 52% of the powders contained measurable amounts of free-form amino acids, which make protein content look misleadingly high in lab tests without adding much nutritional benefit. BSN True Mass, a protein powder labeled “excellent” by BodyBuilding.com, was an especially flagrant offender, deviating from its claimed protein content by over 40%. Given that lack of federal oversight, we only considered protein powders that received a rating of 70 or higher from Labdoor, a mark that ensures that all ingredients are accurately listed and safe for consumption. Every protein powder had to be third-party verified for illegal substances. No one expects to buy a protein powder that contains illegal stimulants, but since supplements aren’t regulated by the FDA, it’s a very real possibility. Take the case of Oklahoma football player Amani Bledsoe, who was suspended for a year after using protein powder that contained the banned substance clomiphene but didn’t list it on the label. Accidentally consuming a powder with banned substances could be a career-ending mistake, and we didn’t want to take any chances. We required our contenders to be verified by either the NSF Certified for Sport program or Informed-Choice.org, two of the most respected independent testing organizations around. To earn their seals of approval, companies must submit to ongoing and unannounced inspections of their facilities to ensure that no banned substances end up in their products. The 26 non-verified products we cut aren't necessarily bad products; it just means the company that produces them hasn’t chosen to get them tested. 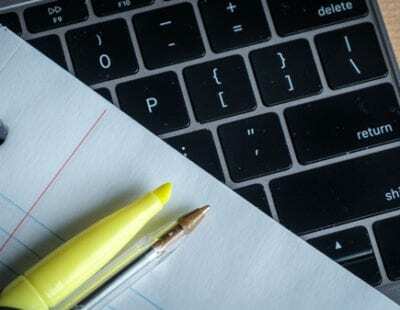 But by using these strict certifications, we could be sure that every product we’re recommending is irrefutably legal. We cut out any products with controversial food colorings or artificial sweeteners. To get a better idea of how experts feel about these additives, we polled over 4,000 registered dietitians. Their response was unanimous (and often much stronger): If possible, artificial sugars and colorings should be completely avoided. Most of the time, they’re simply unnecessary, but some do have potentially harmful side effects like migraines and nausea. Since they’re not adding anything positive, we decided to err on the side of caution. "Artificial sweeteners are not digested by the body, so they cannot be utilized for energy. Therefore, they don’t provide nutrients to fuel the body during exercise, or help with recovery post-training." Banned in the UK, Red 40 has been linked to promoting hyperactivity in children and immune system tumors in mice. Blue 1 and 2 have been linked to hyperactivity in a wide variety of artificial food coloring tests. Yellow 5 has been known to cause urticaria (hives), eczema, angioedema, asthma, and hyperactive behavior, as well as some allergic reactions, especially in individuals with aspirin hypersensitivity. Aspartame has been said to induce numerous side effects, those most common being headaches, dizziness, confusion, and vision problems. Methylene Chloride (a known carcinogen) is a by-product of the Acesulfame Potassium creation process. The FDA states it does not expect Methylene Chloride to remain in the finished product due to “the multi-step purification process used in the manufacture of ACK and the volatility of methylene chloride,” but avoided it altogether. Although approved by the FDA, there have been reports of adverse reactions to the sweetener, including as a possible migraine trigger. 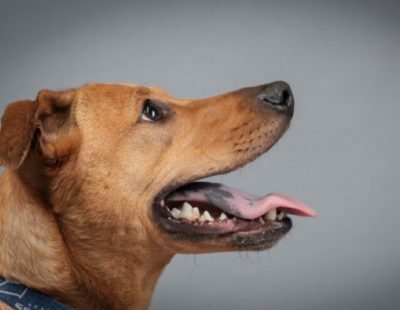 There is also research suggesting that it could harm the immune system. According to a study from the European Journal of Clinical Nutrition, Erythritol can cause cramps, nausea, flatulence, and diarrhea. Glycerin side effects include: diarrhea, nausea, vomiting, and headache. Many side effects are possible. Diarrhea, dizziness, flushing, itching, loss of appetite, nausea, upset stomach, and vomiting could occur if it is ingested in high quantities. Polydextrose can cause abdominal cramping, bloating and excessive gas. Gas, bloating, and diarrhea can occur with high dosages. Most studies regarding artificial sweeteners and dyes provide “inconclusive” results, but the controversy surrounding the topic was enough to give us pause. Many common food colorings are classified as a “concern” by the FDA, and the debate regarding the benefits of artificial sweeteners like sucralose and aspartame is ongoing. To err on the safe side, we eliminated any products with these polarizing ingredients. Finally, we tasted the chocolate and vanilla flavors from our final six protein powders. That left us with six remaining brands to try for ourselves. We wanted to limit how much our personal flavor preferences biased our testing, so we bought two flavors from each brand: chocolate and vanilla. Since a product’s ingredients change depending on the flavor, we double-checked that each one still passed all of our ingredient cuts — if another flavor sounds better to you, we’d recommend scanning the ingredients first. From there, the only thing that was left to do was round up everyone in the office and start drinking some shakes. We started by shaking the recommended serving of powder with water (as opposed to milk or other beverages) to make sure the taste wasn’t impacted by outside flavors. Then we had our 11 testers evaluate six different protein powders each: three chocolate and three vanilla. Testers provided a score from one to seven for both taste and texture, along with some brief (but colorful) comments. We were looking for a protein powder that was easy to mix, smooth to drink, and tastier than a typical supplement. One of our biggest takeaways was that chocolate is a much more pleasant experience than vanilla. On average, our chocolate protein powders scored a 3.95 in taste, compared to only 2.88 for vanilla. If you want something neutral to mix in with smoothie or milkshake, vanilla or unflavored is your best bet. But for no-fuss mixing on the go, chocolate is much easier to get down. After half an hour of sipping shakes, we found three protein powders that stood out above the rest. Two of them received our highest scores for taste, while the third was the better of two unpleasant vegan powders we tested. Whatever you want out of your protein powder, one of these will have you covered. The top performer in vanilla flavor, and a close second in chocolate — Jay Robb's is a solid choice for any taste preference. 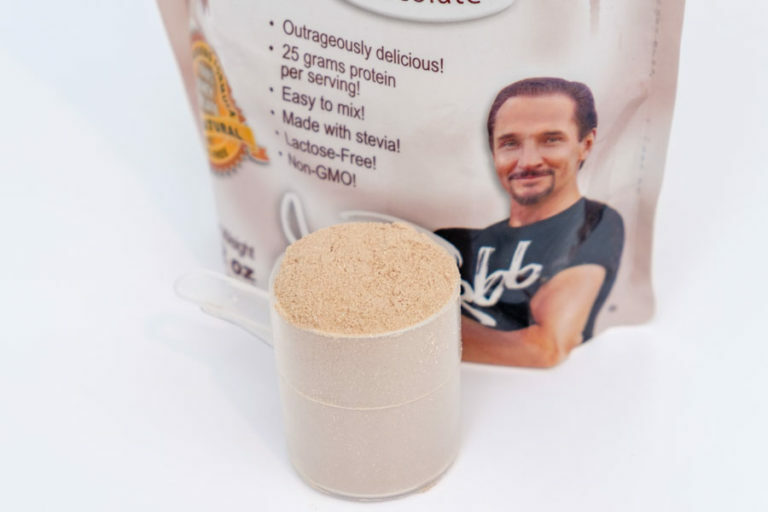 You can count the number of ingredients in Jay Robb’s protein powder on one hand: whey protein isolate, sunflower lecithin, xantham gum, stevia leaf extract, and natural flavors. No artificial colors or sweeteners. No GMOs. No added sugars. On top of all that, it was the best-tasting powder we tried. And while it is one of the more expensive protein powders around at almost $0.09 per gram, we think it’s more than worth it. Our testers loved Jay Robb’s, ranking the vanilla flavor number one overall in taste tests and chocolate number three. This was especially impressive, considering vanilla flavors were otherwise universally hated by our testers. Should you worry about GMOs? While the consensus among scientists is that GMOs aren’t harmful to humans, the specific hormone used on cows that produce whey protein, rBGH, is a little more controversial. The evidence is still inconclusive, but Canada and the European Union have both banned its use due to concerns about increased levels of growth hormones and antibiotic-resistant bacteria. Aside from its taste and texture, Jay Robb’s also goes above and beyond in sourcing its ingredients. It’s one of three powders we tested that doesn’t contain any GMOs, meaning Jay Robb’s takes the extra step to go through small farms to obtain rBGH-free whey. It also earned an 83.4 overall from Labdoor, with an impressive 93 score for nutritional value, making it one of the most accurately labelled protein powders on the market. At $0.05 per gram of protein, Dymatize is the cheapest of our contenders, but it still delivers a great-tasting chocolate flavor. If you’re after the most protein for the best price, look no further. 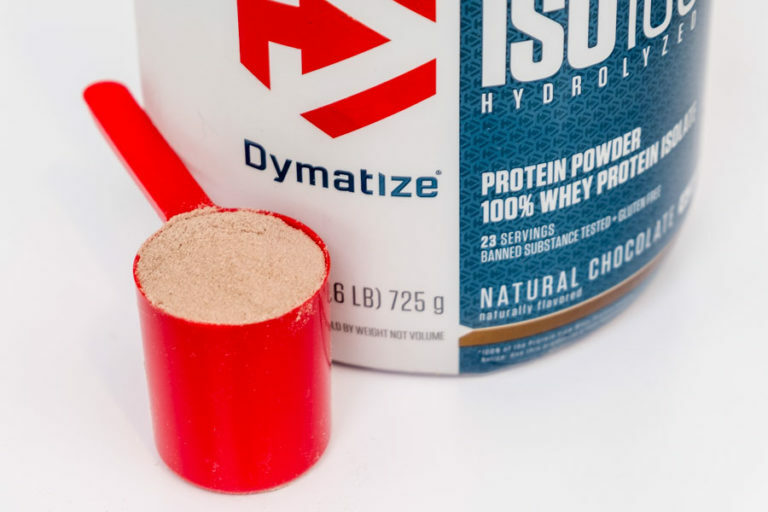 Dymatize delivers protein at a little under $0.05 per gram — the cheapest of any product we tested — and it does so without sacrificing taste or ingredient quality. At 600 total grams per $30 bag, Dymatize is your best bet for a great value. Dymatize was one of the tastiest protein powders in our tests, coming in a close second to Jay Robb’s. Our testers had nothing but good things to say about the chocolate flavor; one remarked that it was “the most like chocolate milk of the three chocolates I’ve tasted” and another compared it to hot chocolate, saying “I could drink this happily.” Like every other brand besides Jay Robb’s, vanilla was a little more polarizing. One tester said it was “very sweet, like marshmallows,” while another concluded that it was “a total bummer… Very artificial vanilla with strong ‘protein’ undertones.” Dymatize was still the second highest-rated vanilla flavor in our tests; it just wasn’t as universally beloved as Jay Robb’s. Texture drew all-around positive responses, too. The tester who slammed the vanilla Dymatize as “a total bummer” had to admit that it did succeed in one area, calling it “smooth and well-dissolved, but also quite creamy — the best consistency I’ve tested.” Other testers liked its smoothness, too, with one saying it would be “great for those who want to drink their protein fast.” Because it was one of the thinner consistencies we tried, you could even add a little extra power if you’re looking to get in more than its standard 25 grams per serving. We were also seriously impressed by the quality of Dymatize’s ingredients and the accuracy of its labelling. It earned the highest score on Labdoor of any of the products we tested with an 83.8 overall, narrowly edging out Jay Robb’s. And while its taste wasn’t quite as popular as Jay Robb’s, it was still easy to gulp down and is worth the bargain price. The best tasting and easiest to mix of our vegan contenders. If you’re on a vegan diet, Garden of Life’s offerings fit the bill. We’ll be honest, it isn’t nearly as tasty as Jay Robb’s or Dymatize, but with its organic and non-GMO certifications, it’s the best plant-based protein powder around. It was a close call between Garden of Life and the other vegan powder we tested, Vega, but Garden of Life had the edge in a few key areas. It received a slightly higher score overall on Labdoor (82.9 to 80.8), but it had a decidedly wider margin when it came to nutritional value: Labdoor awarded Garden of Life a 95 and Vega just 82. It is also the only product we tested that has been certified organic by the USDA, meaning it has to meet strict production requirements. To top it off, Garden of Life was a slightly better value at just over $0.08 per gram of protein, compared to Vega’s almost $0.09 per gram. In general, the taste tests weren’t kind to our plant-based offerings. Garden of Life came in second to last, with Vega only a hair behind. Testers compared Garden of Life’s chocolate flavor to chalky water, a chalky melted milkshake, and the last beer in a keg. The vanilla didn’t fare any better: One tester said it tasted like “someone dropped a scoop of cake batter into a glass of water” and another compared it to “vanilla grass.” Nearly every tester also commented on the drink’s unusual thickness compared to other options, making it more inconvenient to mix into milkshake-consistency liquids. Garden of Life (left) had a much more syrupy consistency than that of other options like Jay Robb's (right). The truth is that plant-based proteins just aren’t as tasty as whey. But there are several things you can do to minimize the flavor, like blending it with other ingredients — banana is a good masker — or adding more liquid to thin it out. And while it was syrupy, we appreciated how Garden of Life dissolved completely without using a blender, making it a good option for your drive home from the gym. Protein powder isn’t a replacement for a balanced diet. In the explicit words of bodybuilder Rich Piana, “Any competitive bodybuilder isn’t getting what they need for a show at GNC; they’re going to the grocery store. Bodybuilders are not made on supplements; they’re made on f*$&ing good, healthy, wholesome food.” Whether you’re a competitive athlete or not, it’s important to treat these products as supplements, and not meal replacements. Sports nutrition marketing is full of misinformation. Fact: This does not exist. The FDA requires that commercially sold milk is pasteurized, so all whey protein has been denatured in some way. Even cold-filtered whey has been flash pasteurized, and that has nothing to do with whether a product is denatured or not. Fact: There are zero studies that conclude that grass-fed whey protein makes better athletes. No protein powder should be valued over another because its whey came from grass-fed cattle. Fact: Only 10% to 15% of the calories you need come from protein, and the maximum acceptable protein level for a healthy athlete is 0.9 grams of protein per pound.